Sunglasses NOT Included. These large soft cases will hold small, medium and most large sunglasses. 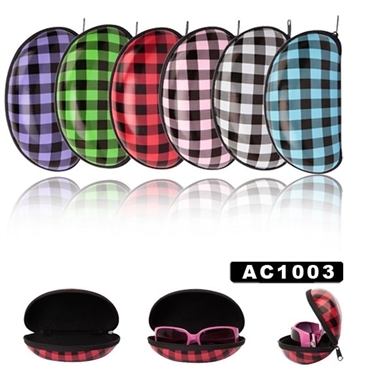 The cases feature a zipper closure with a PU Material covering, for added protection & ease of cleaning.